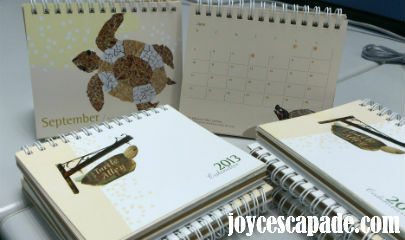 Previously, I blogged about Have you bought your 2013 Turtle Calendar? I have! Today, I have received the calendars! 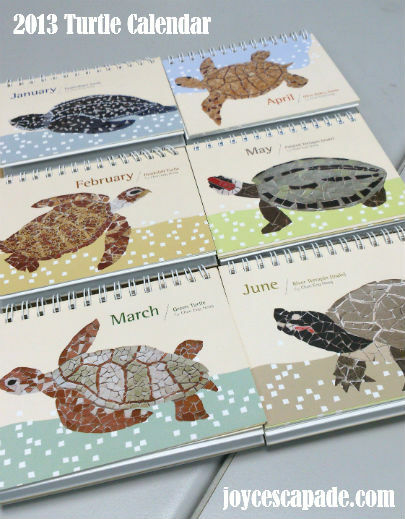 Note: The 2013 Turtle Calendar is a small desktop calendar measuring 12.5cm x 10.5cm and priced at RM10 each. 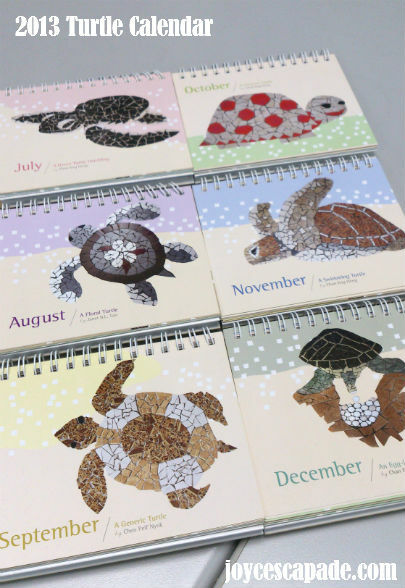 100% of the proceeds from the sales of the calendars will be used to support turtle conservation projects carried out by the Turtle Conservation Society of Malaysia (TCS). If you would like to make an online order, please send an email to TCS (contactus@turtleconservationsociety.org.my) with your address, deposit the payment into their bank account, and send them the proof of transaction. Note: Visit this article for more info. Welcome! It feels good writing for awareness of a good cause. Save the turtles!